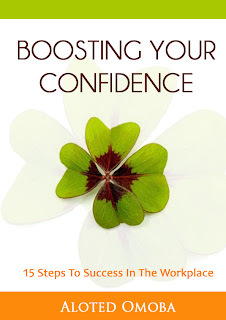 Boosting Your Confidence, 15 Steps To Success In The Workplace is a short easy to read ebook and is based on the writer's personal experience and research. 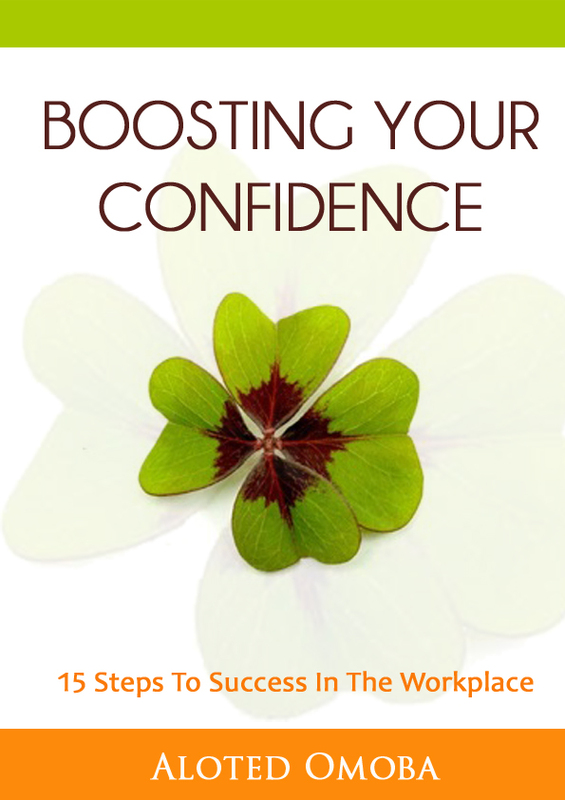 It shares simple effective tips and strategies that anyone especially mums and women can practice to boost their confidence at work or in business. It doesn’t really matter why you lost your confidence in the first place, the book challenges you to step up and make a change in your life. I read this motivational eBook in less than an hour but I'm sure some of the tips in it will help me for a very long time. It is written by Aloted, a fellow blogger and is currently free if you sign up at her website, Super Working Mum. In this book, Aloted gives very direct and actionable pointers on how one can boost their confidence under headings like, accept yourself, be aware of your strengths, track your accomplishments, think positive and surround yourself with positive people. Other tips include speaking words of affirmation, blowing your own trumpet, dressing the part, and using body language effectively, and the each tip is followed by easy to follow guides in very straightforward language. I liked how in the "Be assertive" section, Aloted shares examples of how we sometimes sabotage ourselves, and ways we can communicate better. For instance, instead of saying “I can give it a try”, one should say, "I'll love to do it”. The book rounds off with invaluable strategies to get some rest, find a mentor, become a mentor, and how to develop yourself in order to remain competitive. 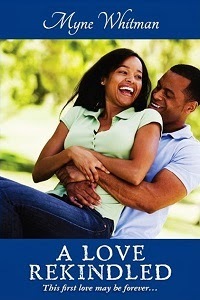 I believe this books will be very useful for women, and men, in and out of the workplace. Why Aloted wrote this eBook, in her own words. I once lost my confidence at work (I shared my story in the ebook). I have also spoken to and met other women who have lost their confidence at one point or the other. Experiencing a decline in your confidence level is part of life, but the key thing is not to stay in that state for long as it can be catastrophic. I wrote this ebook for that person out there who is struggling but desires to be successful at work or in business. With the steps I used and my research there is something for every one in this ebook. Even men can learn a thing or two from the ebook. I purposely made it short so that you can read it in one sitting and even print out to go over any time you wish. You can also read on your kindle if you wish. How cool is that? Good news! For a limited period, Aloted has made this ebook free for all. To get your copy, simply sign up at the Super Working Mum Website. Once you confirm your email address, you’ll receive a private link to the ebook as a PDF that you can download. If you have any problems downloading, you can use the contact page on the website. Signing up to Super Working Mum will automatically subscribe you to free special updates and other occasional goodies (e.g. other books and offers). Super Working Mum respects your privacy and you can opt out of receiving their mails at any time. Aloted Omoba is passionate about seeing women empowered and being the best they can be. She is married to an amazing man and they have a daughter. She is the founder of Super Working Mum, a website targeted towards the working mum, sharing tips to optimise her time, relationships and resources. You can connect with Aloted on twitter and facebook. You can also contact her through her website. There is also a vibrant community of Super Working Mums on Facebook. They look forward to welcoming new members.